This website includes a great deal of helpful information. At the top you will find tabs and drop-down tabs for many of the outstanding programs and classes we offer. Students will find their assignments embedded in the class pages for each of the classes we teach. For syllabi and standards information click the Classes tab. Students in Introduction to Digital Media iPad art class have been learning about master artists and the art of self portrait. They created these selfies emulating a famous artist. Can you guess who their master artist is? THANK YOU!!! 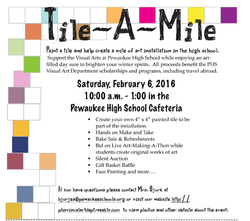 for making our fabulous Visual Art Community Art Making fundraiser: Tile-A-Mile a big success. We raised a bit over $3000.00 for PHS Visual art scholarships and programs. The whole day was filled with smiles, art-making and lots of happiness. Thanks so much to the Pewaukee Community for your support of the Visual Arts. 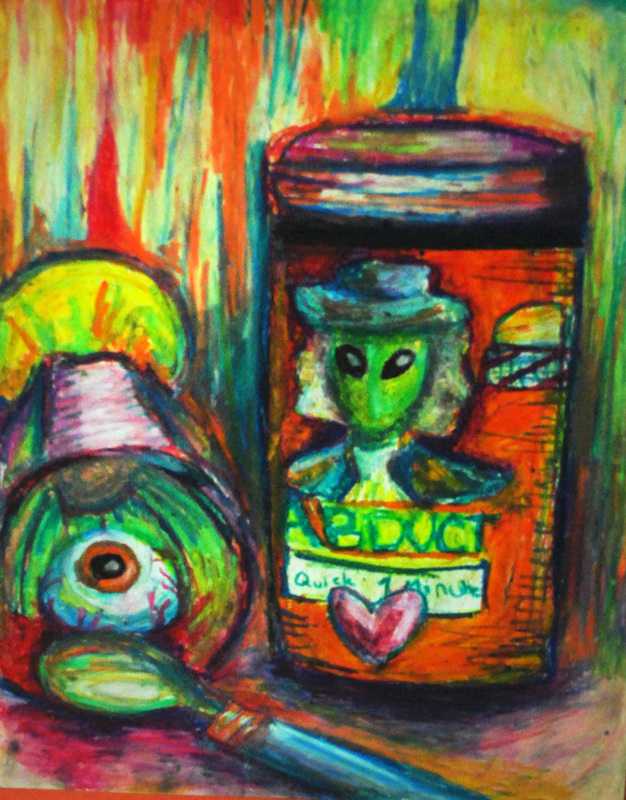 The Pewaukee High School Visual Art Blog has been chosen as one of nine finalist in the Art of Education National contest for outstanding art education blogs. 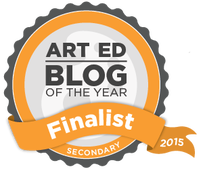 ​You can see all the finalists and winning blogs at The Art of Education website. Mrs. Bjork will be presenting at the National Art Education Association's spring National conference in Chicago, IL on Friday March 18. The presentation is titled: Digital Gets Dirty-Experimental Printmaking Processes with Digital Photography. 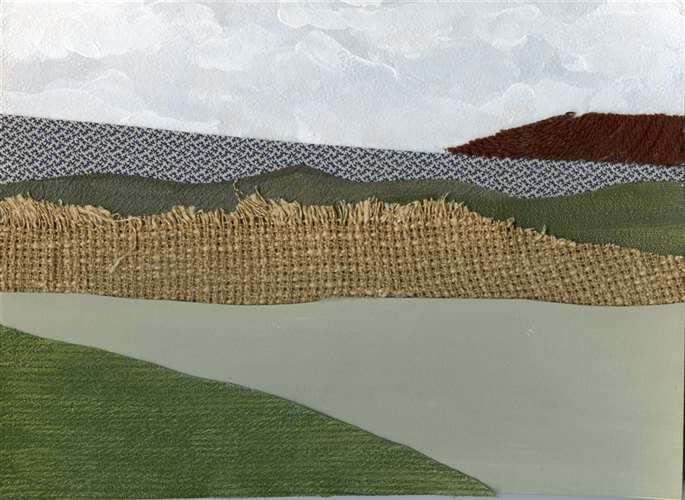 Mrs. Bjork presented this topic at the fall Wisconsin Art Education Associations fall conference in 2014. An article about the topic was also written by Ms. Bjork and featured in the May/June issue of Davis Publications School Arts Magazine. ​To download a handout from the presentation click here. 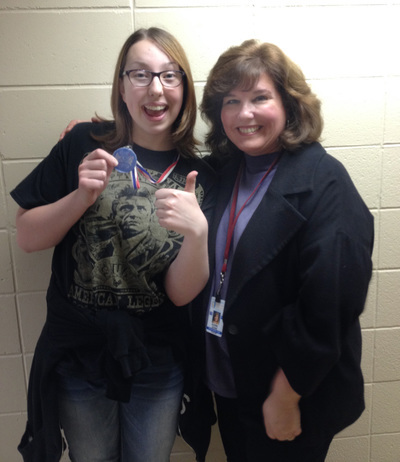 On Tuesday, November 17th Hayley Nangle awarded the medal of Awesome to Mrs. Bjork. Hayley stated....."Ms. Bjork pushes students to do their best in art and has led many of us to discovering our inner artistic voice. Without her guidance, there’s no way I would be where I’m at now with my work. Her methods of teaching work wonders." 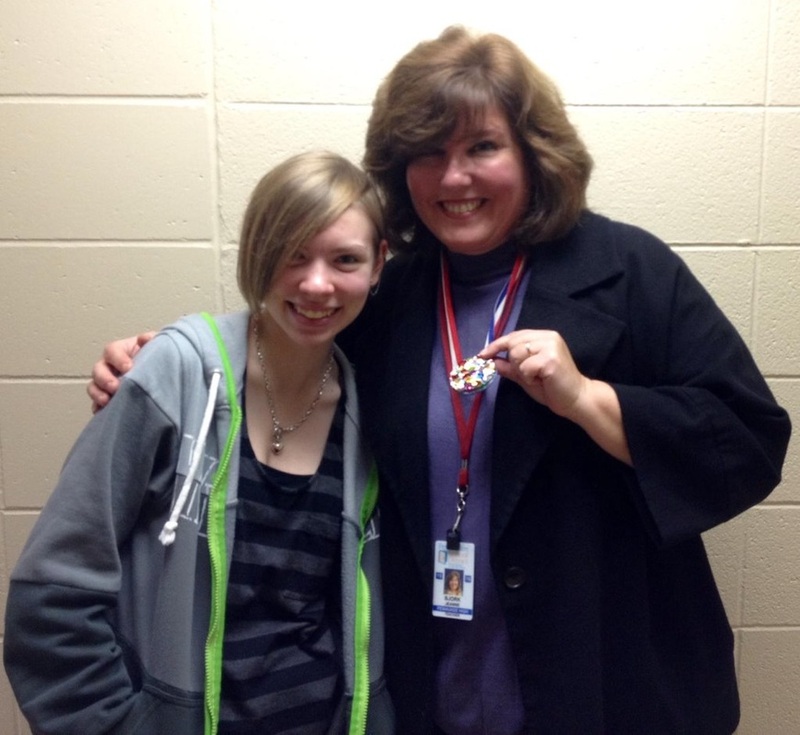 On Wednesday November 18th Ms. Bjork awarded the medal to art student Miranda Kennison. Miranda is an AWESOME person. Her joy and love of art are contagious. She loves art so much that she often just hangs out in the art room even when she's not in the class. She is a kind person who really loves art. ​Congrats to all for being AWESOME! Mr. Lamp teaches Introduction to Art, Sculpture 1 & 2, Painting 1, Drawing 1, Art History, AP Art History, Introduction to Digital Media. See the schedule image below for Mr. Lamp's schedule. He teaches all of his classes in room 115. 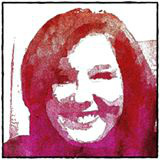 Mrs. Bjork is the department head and teaches Drawing 1, Painting 1, Digital Photography 1 & 2, Drawing2/Painting2, Animation and Experimental Video, Graphic Design, and Introduction to Digital Media. For her schedule see below. 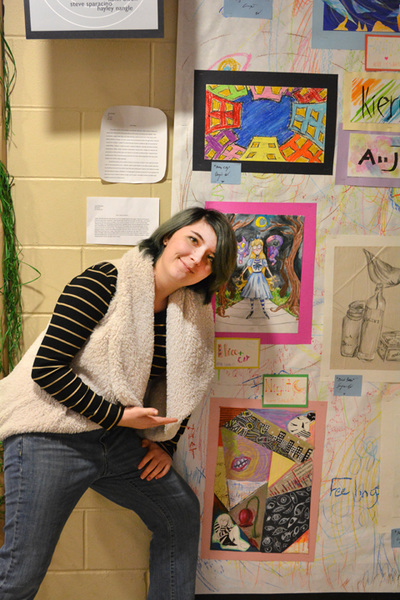 Miranda Kennison, a senior in Mrs. Bjork's AP Studio Art student has won a Sargent Art award at the State Capitol in Madison, WI doing the Youth Art Month Exhibit. 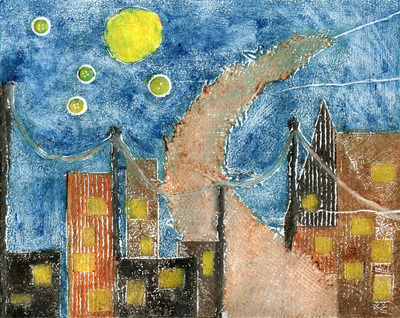 Miranda exhibited her collagraph print and the collagraph plate entitled "The Road to No Where" together as one entry. The work was highly regarded for artistry and skill. Congrats to Miranda. 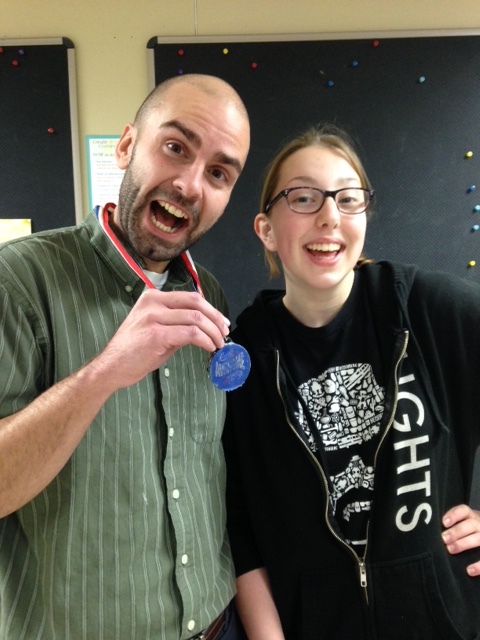 The PHS Visual Art Department is very proud of our art students. Mr. Lamp and Mrs. Bjork attended the SE WI regional art exhibit at Sharon Lynne Wilson Center on Friday night. Two PHS students won awards and 6 had their work chosen to go onto Madison to be displayed in the state Capitol as part of the Youth Art Month exhibit. The Capitol exhibit will be on display in the rotunda from February 27th - March 11th. Bravo PHS artists. Congrats to Miranda Kennison and Kierra Schwab on their awards. Congrats to Kierra Schwab, Miranda Kennison and Jessica Esser, Tyler Caraulia, Megan Willborn, Annika Wille on having their work chosen to go onto the State exhibit. Here's a over view link of the regional exhibit at the Wilson Center from Frank Korb. Students who are seniors and are interested in majoring or minoring in Art, Art History, Art Education, Graphic Design or other fields related to the study of art are elibible to apply for this scholarship. The Pewaukee High School Visual Arts Scholarship was founded in 2007 to offer scholarships to promising PHS artists to enable their pursuit of excellence in the visual arts at the college level.In 2012 a generous donation by Terry and Lauree Frett in honor of Terry’s dad Gene was made; thus renaming the scholarship. Gene Frett worked for Binney-Smith selling art supplies to classroom teachers. The scholarship came under the umbrella of the Pewaukee Scholarship Fund with this donation and renaming. In 2014 the Frett family donated an additional amount to the fund to raise the annual scholarship to $1500.00. The scholarship continues to support the studies of Pewaukee High School Visual Art students looking to continue their pursuit of excellence at the college level. Click here to download the Gene Frett application. 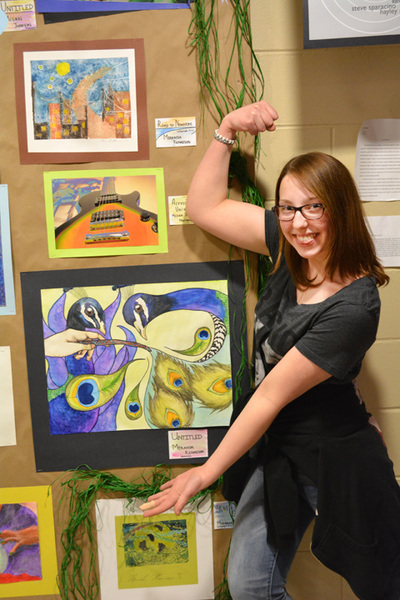 Pewaukee High School art students were honored with several Scholastic Art awards. 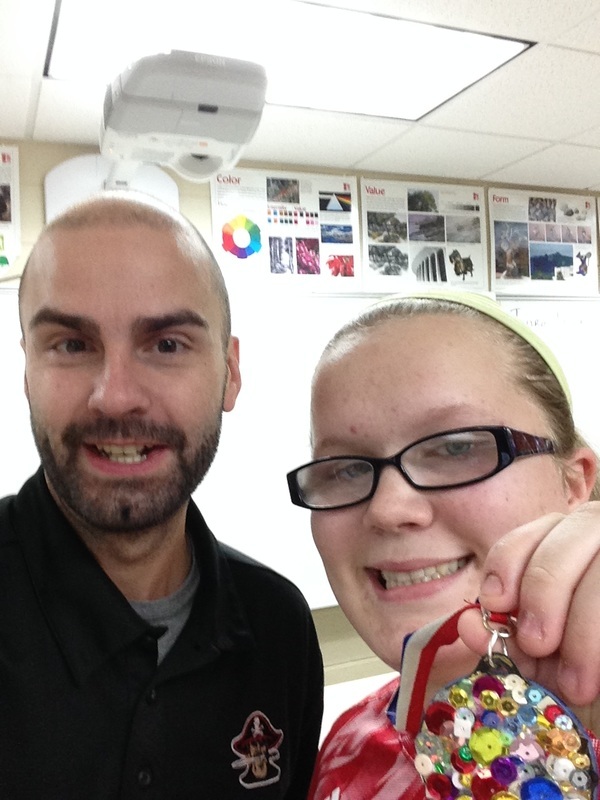 We received 2 gold keys, 4 silver keys and 3 honorable mentions. Gold key means the work was awarded a State level award and is also being considered for National recognition, Silver key means the work is being awarded a State level award. If works are chosen for National recognition they go onto New York City in June. Mrs. Bjork presented Roto What? 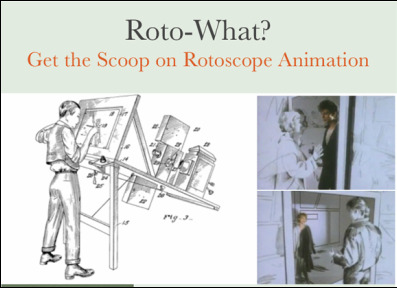 Get the Scoop on Rotoscope at the Wisconsin Art Education Association (WAEA) state art education Conference in Appleton, WI on Thursday, October 22nd. The presentation helped fellow Art Educators learn several rotoscope animation techniques using hand drawn frames, Adobe Photoshop and iPad Apps. For more information and the handout from the conference click here. The Wisconsin Art Education Association (WAEA) has chosen their 2015 award recipients and Mrs Bjork was chosen as the Secondary Division Art Educator of the Year for 2015. This is a really BIG honor to be chosen as the best high school art educator in the state. 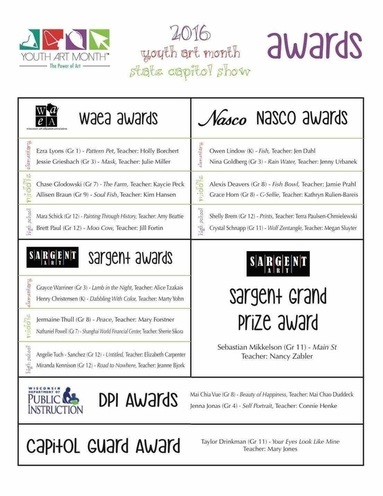 The awards will be given on October 22nd in the evening as part of the WAEA Convention held this year at Lawrence University in Appleton. Special thanks to Marty Van Hulle for his letter of nomination and support. There were also several alums of PHS who wrote letters of support (Hannah Greene and Rachel Sauer) along with several of Mrs. Bjork's Art Education colleagues (Anthony Lauer and Meagan Hahn).